Your day-by-day itinerary now includes Marina Bay, Chinatown Street Market, Arab Street, and other attractions you added. Start off your visit on the 10th (Sat): take in the spiritual surroundings of Sri Veeramakaliamman Temple, take a stroll through Arab Street, then stop by Chinatown Street Market, and finally go for a stroll along the water at Marina Bay. 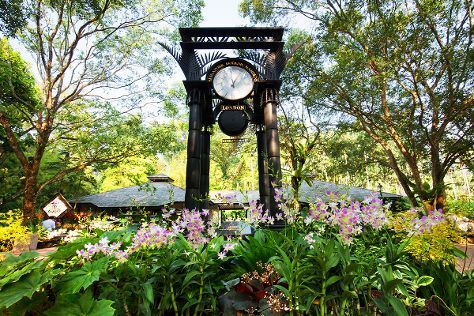 On the 11th (Sun), you'll have a packed day of sightseeing: take in the spiritual surroundings of Thian Hock Keng Temple, then shop like a local with Orchard Road, and then admire the natural beauty at Singapore Botanic Gardens. To find other places to visit, ratings, reviews, and other tourist information, read our Singapore trip itinerary planning site . If you are flying in from Thailand, the closest major airport is Singapore Changi Airport. In February, daytime highs in Singapore are 36°C, while nighttime lows are 29°C. Wrap up your sightseeing on the 11th (Sun) to allow time to travel back home.